Mount Bromo and Mount Penanjakan National Park, internationally famous for its most magical sunrise, is a haven for nature lovers, with its volcano, craters and sand plateaus. The people who live in this area (Tengger people) are supposed to have descended from the Majapahit Kingdom roundly six hundred years ago. Once a year (on different dates in accordance to their calendar), their most popular ceremony, Yadnya Kasada, is held in a temple which was built in the vast sand plateau near the edge of the crater on the top of Mount Bromo. 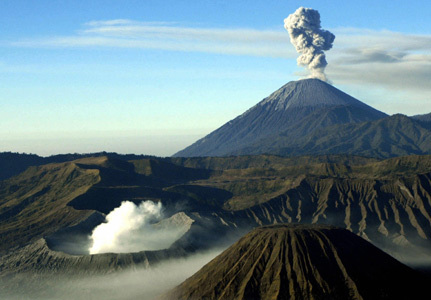 Mount Bromo and Mount Penanjakan are roundly 2.5 hours away from the hotel. 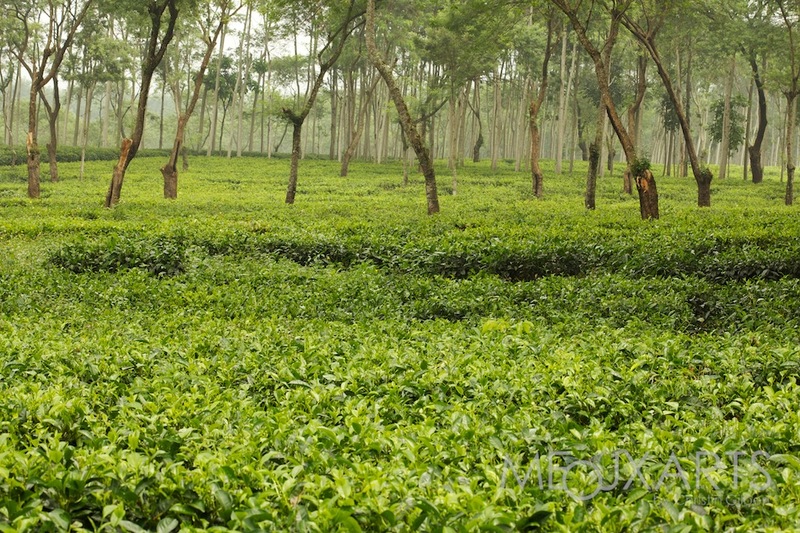 On the way back to the hotel, you can stop at the scenic tea plantation Wonosari. The Coban Pelangi Waterfall is one of the few unexploited secrets of East Java; a 30-meter high hidden beauty surrounded by a pine forest. 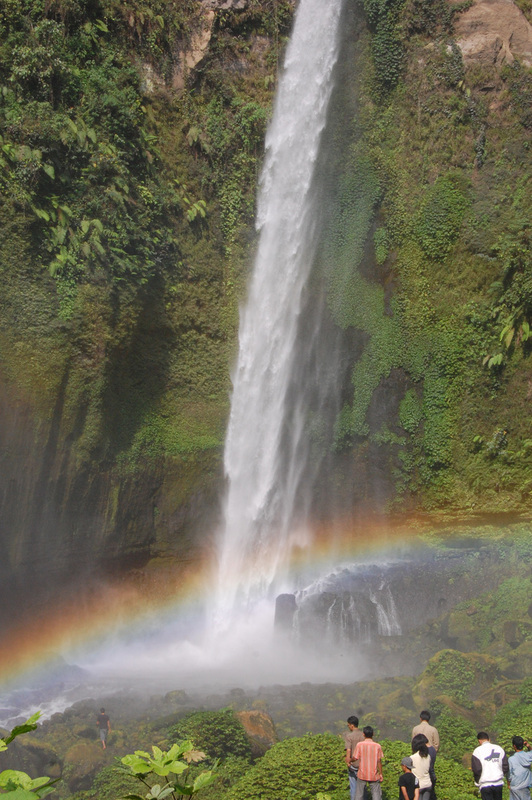 This waterfall is situated east of Malang, at the foot of Mount Semeru. 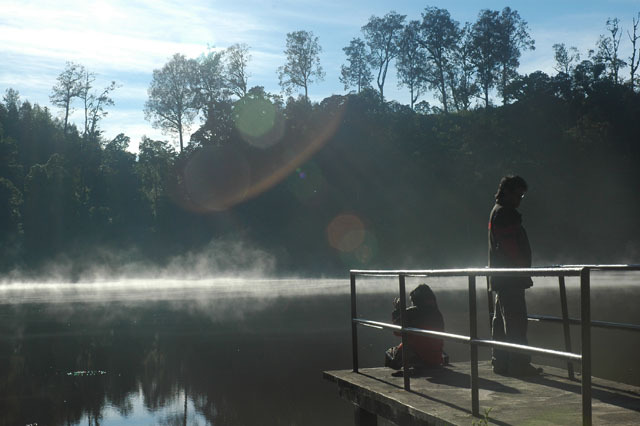 This destination can be visited in conjunction with a visit to Mount Bromo. 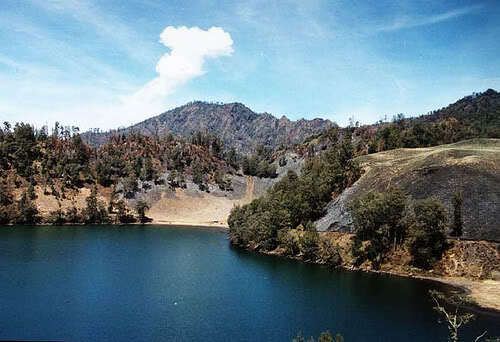 The Village of Ranupane, situated 2,100 meters above the sea level, is the starting point of the 2-day hiking track to the volcanic Mountain Semeru (3,767 meter high – the tallest in Java). 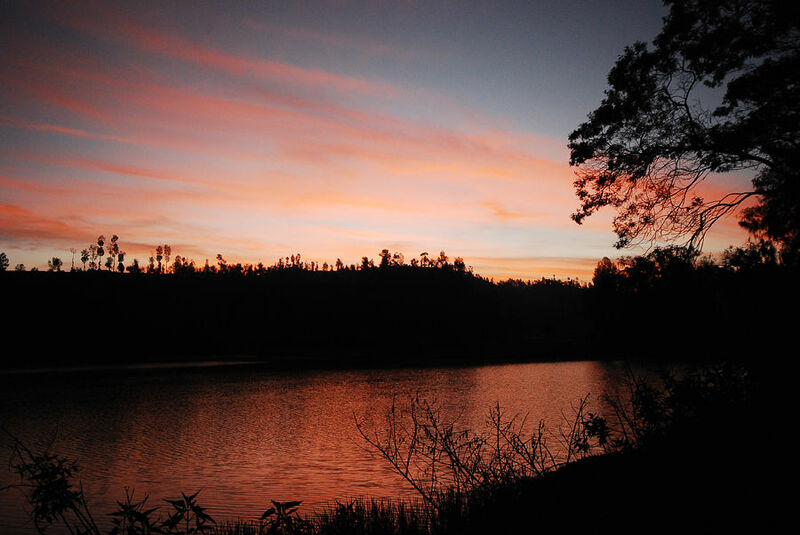 Ranupane is famous for its beautiful lake, Lake Ranupane which is surrounded by wildlife and sand plateau. The peaceful Village of Ranupane has a population of about 60 people; most of them are traditional vegetables farmers. 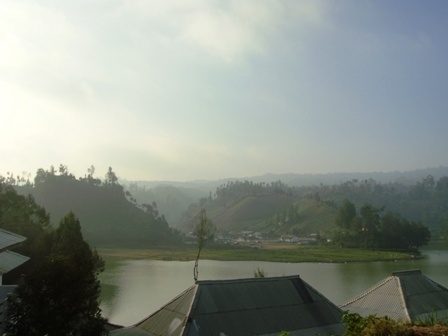 Nearby Ranupane is another lake called Ranu Regulo. 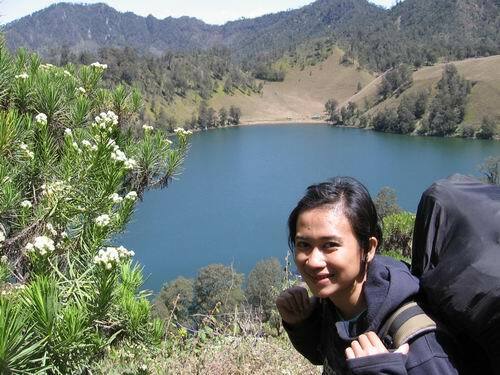 This vast and beautiful plantation is situated on the slope of Mount Arjuna, about 30 km from Malang, with a view of Mt. Arjuna. The visitors may watch the tea leaf picking, the process of tea-making, as well as other traditional daily activities of this tea plantation. 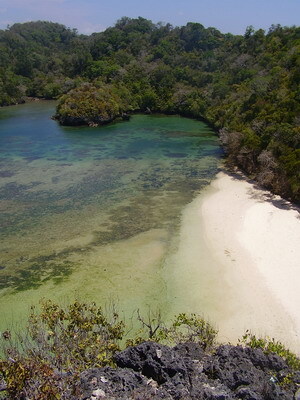 Sendang Biru is an unspoilt white sandy beach south of Malang at the Indian Ocean. To reach this beach, guests will follow a very beautiful road passing the little villages of Turen and Sumbermanjing Wetan as well as hilly, natural surroundings. This beach is famous as a fishermen harbor, white sand, tropical rainforest and the traditional fish market center of Malang. This beach faces Sempu Island, a naturally preserved island with untouched wildlife where some locals still visit to seek for holy water that is believed to have healing power. Near the city of Malang, in the village of Tumpang, the region’s arts are being salvaged thanks to the establishment of a center by one of East Java’s cultural heirs. The East Javanese cultural center Padepokan Mangun Dharma is headed by Soleh, a distinguished dancer as well as dalang (puppet master/narrator) of shadow plays and masked dances from a long line of Malang-area artists, and his American anthropologist-turned-traditional dancer and singer who has performed with some of Java’s most noted dalangs. Soleh’s family has been leading the art world in the Malang area, especially the Tengger highlands near Mount Bromo for almost 100 years. This area has beautiful scenery. It is located in Ranupane village in Senduro district, about 50 km west of Lumajang on the slope of Bromo and Semeru Mountain. There are a wide variety of home stay options available. 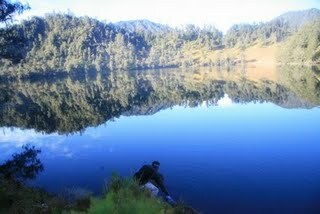 Pane, Regulo and Gembolo / Gumbulo Lake are the fantastic lakes in Lumajang regency. Enjoy the clear water, nature scenery, fresh air, comfortable situation in these area. Here some photo of these three lakes. Well, enjoy it.